What’s beyond raw? That’s easy: cooked. Unless Beyond Raw means going beyond in the other direction, indicating that their supplements are somehow rawer than raw. In which case… well, I don’t know what to say about that other than: huh? You know what, let’s not dwell on it too much. Beyond Raw is one of those awesome supplement manufacturer names that’s best not to think over too much, lest you intend to ruin the brand’s marketing magic. And that. Would. Be. AWFUL. So, let’s instead dwell on this particular supplement’s name: Nootropic. Straightforward, simple. But before we jump to any conclusions, let’s read the Beyond Raw Chemistry Labs Nootropic review to see whether or not the name checks out. Who Takes Beyond Raw Chemistry Labs Nootropic? Conclusion: Does Beyond Raw Chemistry Labs Nootropic Work? 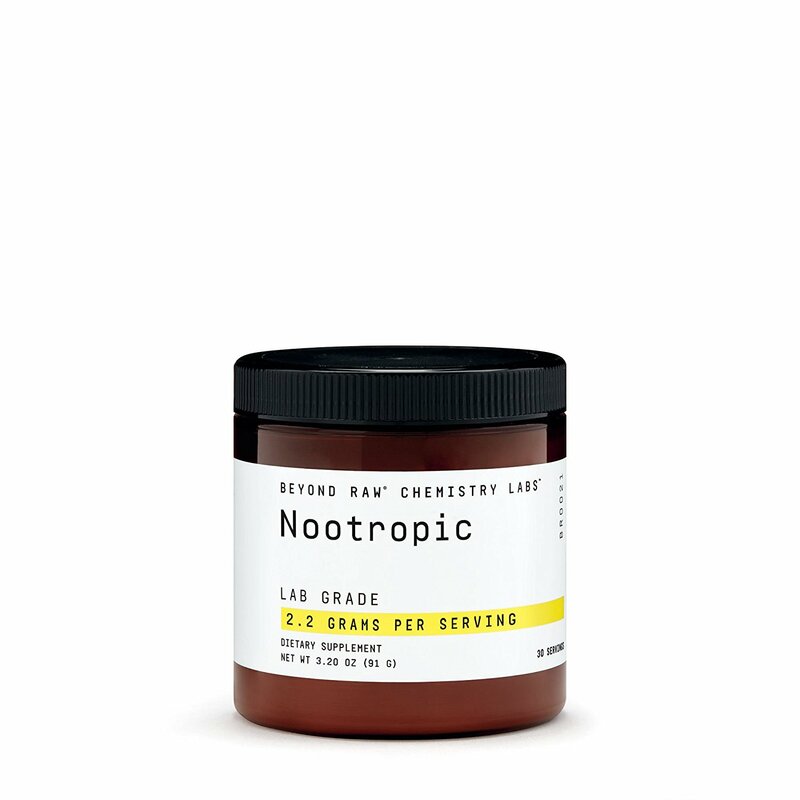 As part of Beyond Raw’s Chemistry Labs series, Nootropic is exactly what it says it is: nootropic. More specifically, a nootropic powder stick filled with nootropics. Even more specifically, Nootropic is filled with nootropic herbal extracts, cognitive enhancing compounds, and antioxidant-enriched coffee extract. 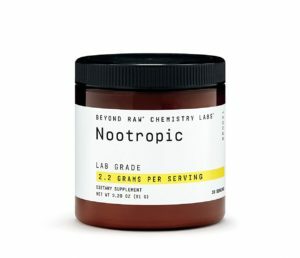 Despite laying down some high quality nootropic ingredients and brands, Beyond Raw Chemistry Labs Nootropic is reasonably priced at $1.00 per serving. Directions: As a dietary supplement, mix one scoop with 8 oz of water or other beverage. A scoopable nootropic supplement? Hell yea — I love me a brain health stack that simultaneously appeases my supplementary meathead urges. And nothing says “meathead” better than scooping a delicious powdery supplement into your shaker cup …but you don’t care about any of that, do you? You want to know how Beyond Raw Chemical Labs Nootropic’s nootropics are, heh? OH FINE. I’LL TELL YOU. Tyrosine (as Acetyl L-Tyrosine) – During moments of high stress, high activity, or no sleep, the brain burns tyrosine to stay afloat. And when your tyrosine reserves run empty? *CRASH! * This makes supplementing tyrosine, preferably N-Acetyl L-Tyrosine, a smart move under stressful conditions — e.g., exam day, game day, etc. More on L-Tyrosine. Bacopa Monnieri (as Synapsa®) – Similar to tyrosine, Bacopa monnieri also possesses significant anti-stress adaptogen properties. Yet, Bacopa is perhaps better known for its boost benefits on memory and learning, making it a prime choice for students and brain-workers. More on Bacopa Monnieri. Theacrine (as TeaCrine®) – Most nootropic enthusiasts stack their caffeine with L-theanine (see next ingredient). However, theacrine may also enhance the caffeine experience, due to the compound’s caffeine-like structure, which seems to lengthen caffeine’s effects over a greater period of time. L-Theanine (as Suntheanine®) – Quality brand of an awesome, anxiolytic nootropic, Suntheanine® promotes alpha brainwaves, which are associated with calm, creative, meditative thinking. Stacking L-theanine with caffeine may help minimize caffeine’s jittery side effects while keeping the drug’s boost on focus and mental energy. More on L-Theanine. Coffee Fruit Concentrate (as NeuroFactor™) – Preserving more of coffee bean’s bio-active constituents, NeuroFactor™ supplies a healthy dose of brain-building and -protecting polyphenols found in coffee beans. Gamma-Aminobutyric Acid (GABA) – When the sun goes down, GABA levels go up. GABA is the neurotransmitter responsible for sleep and relaxation. Unfortunately, GABA, as a supplement, doesn’t seem to do much — which is why picamilon, an orally bio-active version of GABA, was created. (Which is a useless fact here, given that Beyond Raw stuck with standard GABA.) More on GABA. Rhodiola Root Extract (Std. to 3% Rosavins) – One of my favorite nootropic adaptogens, Rhodiola rosea is a fast-acting anti-stress, anti-fatigue herb with significant physical and mental performance enhancement potential. Beyond Raw gives us the proper 3% extract form. More on Rhodiola Rosea. Huperzia Serrata Extract (Std. to 1% Huperzine A) – In tiny doses Huperzine-A goes a long way, improving cognition and memory by inhibiting acetylcholinesterase, the enzyme responsible for acetylcholine breakdown. More on Huperzine A. With apologies to Kanye West, Beyond Raw Chemistry Labs Nootropic‘s woopitty scoop servings are *finger-okay-sign* on point. And it isn’t simply that these scoops are delicious and jam-packed (although that’s definitely part of it), but they’re packed with awesome *finger-okay-sign* on-point nootropics. Herbal Adaptogen Extracts – Bacopa monnieri, Rhodiola rosea. Powerful Nootropic Compounds – Acetyl L-Tyrosine, L-Theanine, Hup-A. 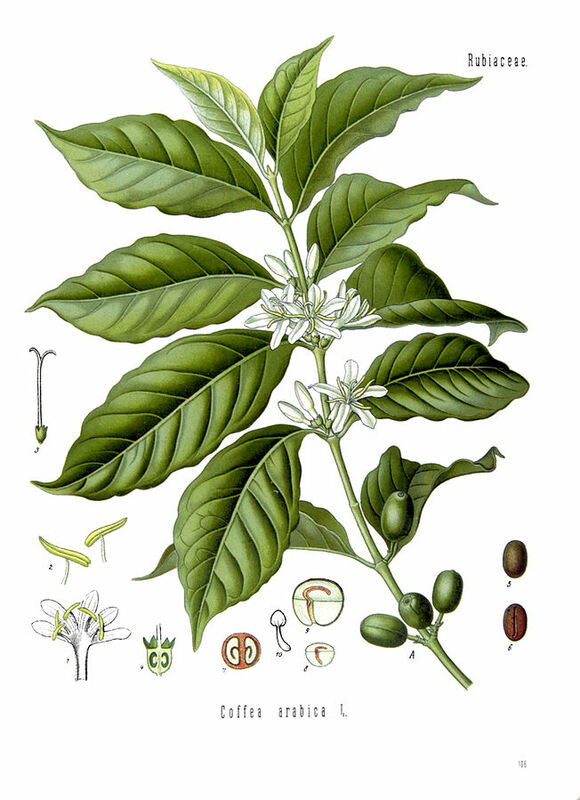 Antioxidant-Enhanced Coffee Beans – Polyphenols + Theacrine. You know what’s not meh? That scoopty woop poop jam, baby. Aside from the ingredients, Beyond Raw Chemistry Labs Nootropic also impresses with its sizable dosages, transparent dosages (thanks to the stack’s non-proprietary status), and high quality (look at those ingredient brands). Clearly, Beyond Raw knows what works in the nootropic game, and how to make what works work even better by ensuring quality and quantity measures are up to standard. Is Beyond Raw Chemistry Labs Nootropic a perfect brain health stack? Not quite. In terms of nootropic diversity, Beyond Raw does a fine enough job. However, this stack could use a cholinergic to pair with the huperzine-A — a nootropic brain-energy cholinergic like, say, citicoline. But all things considered, this is a minor gripe for what’s otherwise an awesome “game day” nootropic stack. Beyond Raw Chemistry Labs Nootropic stacks a diverse range of nootropic ingredient types with a tight focus on “game day” mental performance results. The ingredients come in high quality, highly potent forms, some even in premium brand forms, and their dosages are generally high. Look at the pricing below. Yeah, Beyond Raw’s gifting us an exceptionally affordable stack here, given the quality of these ingredients. While Beyond Raw Chemistry Labs Nootropic supplies a massive dose of anti-stress activity, this stack could also add some choline to improve the cholinergic activities of Bacopa and Huperzine-A. Given Beyond Raw Chemistry Labs Nootropic’s minimalistic design, I’m assuming this is a stack that wants to appeal to as many people as possible. The ingredient profile seems fit for both athletes and academics — or really anyone who frequently operates under stress and pressure. Yes, Beyond Raw Chemistry Labs Nootropic works. In other words, Beyond Raw Chemistry Labs Nootropic works best as an “as-needed” nootropic brain health stack — one to take towards the end of long workday and/or work week. Or prior to an important exam the day after pulling an all-night study sesh. What I wouldn’t use Beyond Raw Chemistry Labs Nootropic for is long-term brain enhancement or any sort of dietary brain nourishment. That’s not what this stacks all about. It’s strictly for that clutch mental performance. And, frankly, we can all use a bit of that from time to time. LOL. you got that right, it tastes awful. I made the mistake ONCE of putting it into a vanilla shake and I heard Gollum yell “you ruined it”. It does work pretty well though, so I started take a mouthful of water, leaning my head back, dumping the scoop into the water in my mouth, and chugging a glass to get it all down (prevents aftertaste). Barely touches the tongue that way. I also started CAPPING it with a home pill press, (works great). When I have to pull an 18-22hr shift I notice this is fantastic, at about 12hrs I start to crash, so, I take a scoop of this and BOOM, am good to go. I was surprised at how well it works. I seem to notice that the effects are only good for about 5 days in a row, then I need to skip 2 or 3 days for my tolerance to reset. Suppose that’s true with most anything. Overall, was skeptical but now i’m pleased. Oh god. I just made the mistake of combining it with Hawaiian Spirulina. Tastes like dirty fish tank and jet fuel. Nah the taste is actually gag worthy, I don’t know a single person thats tried it and thought this tastes good. Probably Top 3 as far as gag worthy concoctions are concerned. Yep. Dump it directly in your mouth and wash it down as fast as possible without breathing through your nose. In and out. I did find it washed down the after taste better with citrus drinks. Yuck!!! But it’s works great when you need it and it works fast. Its a great addition to any pre workout! Taste is pretty bitter and sour, but if your like me why you sipping on it. Put a scoop of it in some juice or pre workout and chug it. Be done with it. This isn’t a drink to be sipping on to enjoy. You consume this product for the benefits. Plus, its RAW.. what do you expect? I’ll be a returning customer. Hope this review helps. The Beyond Raw Chemistry Labs line of supplements is smart in its “stackability” (and, I agree: I’ll withstand the taste if a supplement works). Appreciate the feedback.